Dubai's luxury hotel developers Jumeirah Group have highlighted Manchester as a potential expansion location which could transform the skyline and the economic fortunes of the up-and-coming north-west city. 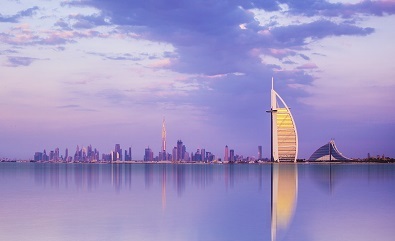 Jumeirah who created Dubai's famous Burj al Arab hotel, repeatedly voted as the world's most luxurious hotel, were instrumental in the emirate's rise as a world-leading tourist destination. Officially the world's most luxurious hotel, Jameirah's Burj al Arab hotel in Dubai. Gerald Lawless, Jumeirah's group chief executive has seen how the construction of iconic buildings such as the Burj al Arab has helped transform the emirate into a global tourism powerhouse. Speaking to the Daily Telegraph, Lawless explained that initially, sceptics had derided the hotel which is celebrating its 15th anniversary this year, saying that the hotel was a white elephant. However, the structure alone was fundamental to Dubai's recovery and Lawless believes it is a pattern that can be replicated elsewhere in the world. 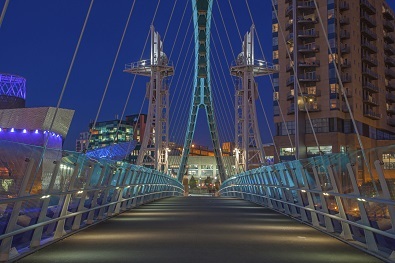 Jones Lang LaSalle (JLL) recently highlighted Manchester as a UK city that property investors should be looking closely at. Jumeirah have also singled out the city as one of the few locations in the UK capable of adopting the same 'build-and-they-will-come' strategy that has been highly successful in Dubai. Mr Lawless explained that Jumeirah Group is keen to grow its UK footprint, expanding its reach outside of London. "We would be very interested to see which other cities would sustain a Jumeirah hotel. Edinburgh would be very interesting for us and Manchester for sure," said the Group's chief executive. Manchester has undergone significant regeneration in recent years including extensive property development, boosting visitor numbers and hotel occupancy to record levels. 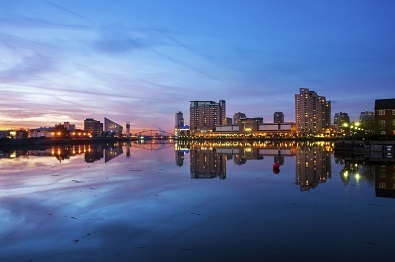 The city's upward trajectory was assured when the BBC left its London base and moved to Manchester's MediaCityUK, sparking a new wave of investment. Since the announcement of the BBC's move, other iconic regions of Manchester city centre have also undergone extensive redevelopment, including First Street and the Salford Central project. JLL also highlighted Manchester's potential earlier this year, reporting the city has seen "phenomenal growth" over the past 20 years, regularly swelling in visitor numbers due to football matches and major political party conferences.